The Dawn Redwood was known only as a fossil until a Chinese forester discovered the first living specimen in the middle of a rice paddy in Tsang Wang in 1946, making it the baby boomer of trees. This tree is known as the "discovery tree" and symbolizes the surprises that can still be found in nature. 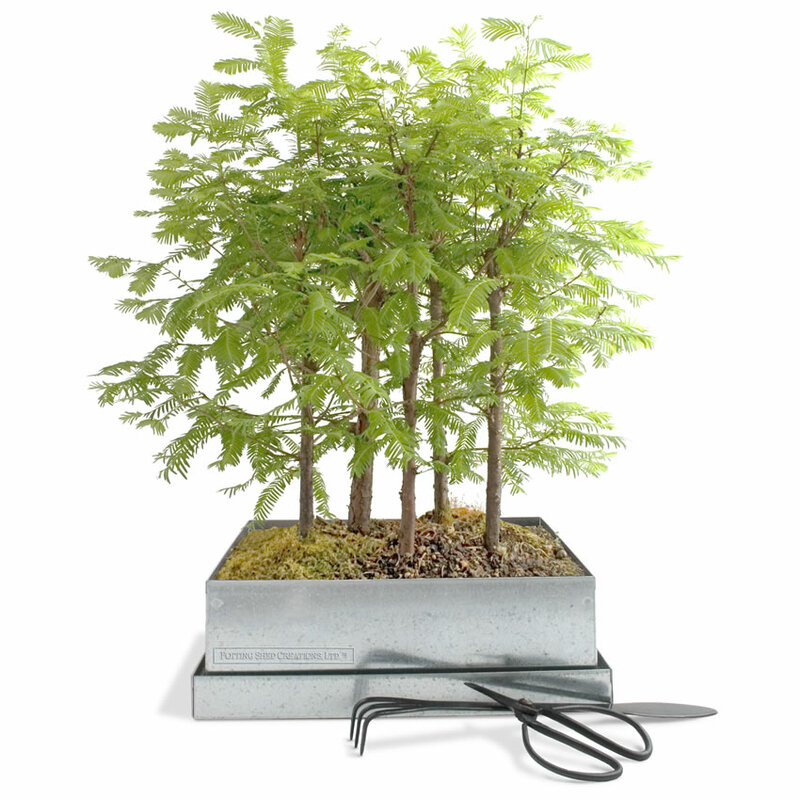 Give your tree-hugging baby boomer the gift of a miniature Dawn Redwood forest that they can tend to and watch grow in their own house. 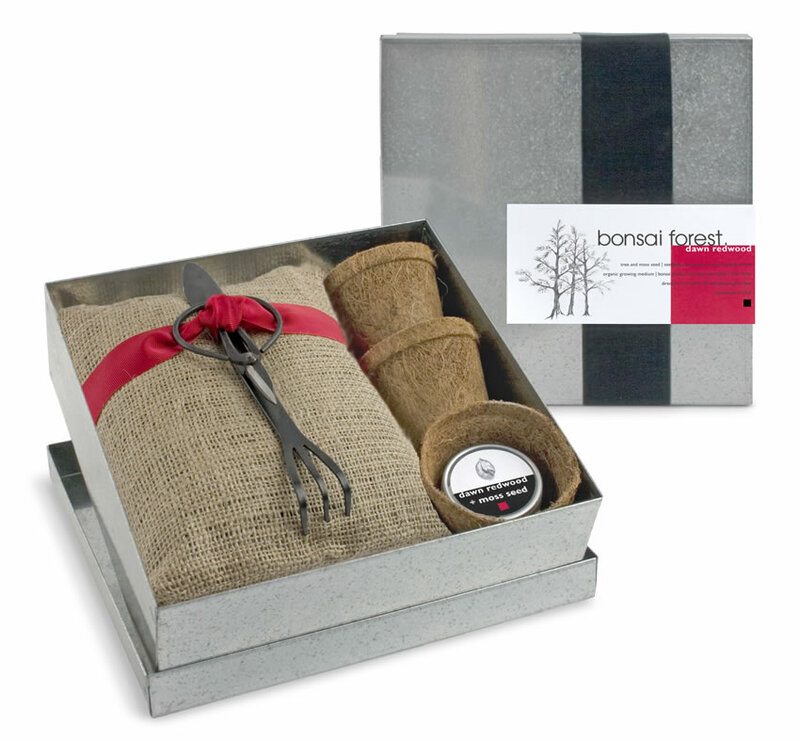 Gift includes tree and moss seed, seedling training pots, seed starting wafers, growing medium, bonsai scissors and rake with spade and a river stone and comes in a recycled US steel bonsai grow box tied with ribbon made in the US from recycled plastic bottles. Box measures 9.5" square. 3-year-old forest depicted in photo.